America’s Fence Store ensures that every single one of their gates is a success. 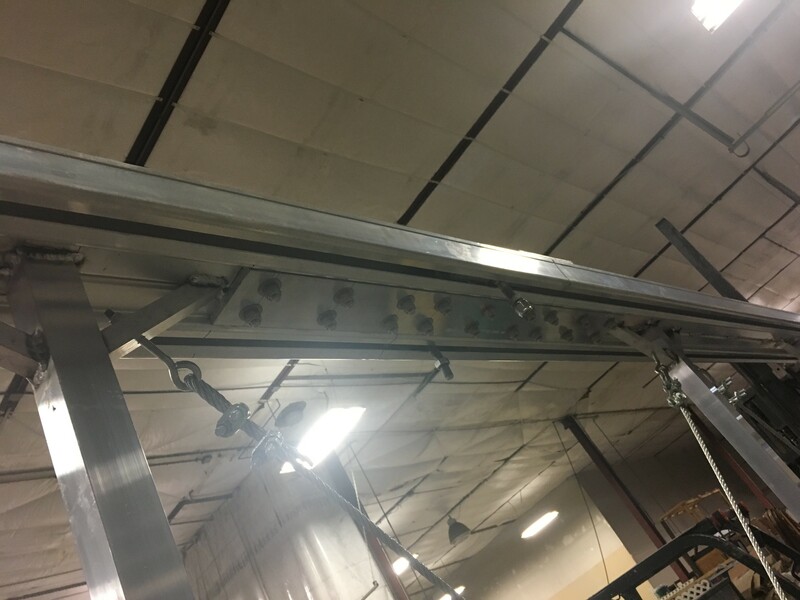 All cantilever gates longer than sixty-five feet with a mechanical splice are fully tested in their shop, which is not an easy task. Each gate is supported with a series of lifts and blocks to simulate what would happen in the field once the gate is installed, as shown in the video below. At the start of testing, a lift is placed at the nose of the gate and then the lift slowly lowers the nose until it is fully supported by its own structure. At this point, the gate is being cantilevered. The gate in the video is almost one hundred feet long and eight feet tall. This is where the rubber meets the road—or where the truck meets the track. Once the gate is fully cantilevered, it is checked for level throughout its length. The unique splice detail is scrutinized for any separation or lips that could have occurred. Our fabrication and engineering personnel recognize that even the slightest defect will cause a considerable disruption in the gate’s operation. The unique engineering lies in the splice. Using over thirty-two of our ½ inch grade A hex bolts and almost sixteen feet of ½ inch plate, the splice detail pulls the two pieces of the gate together and holds them securely, even when they are under immense pressure. 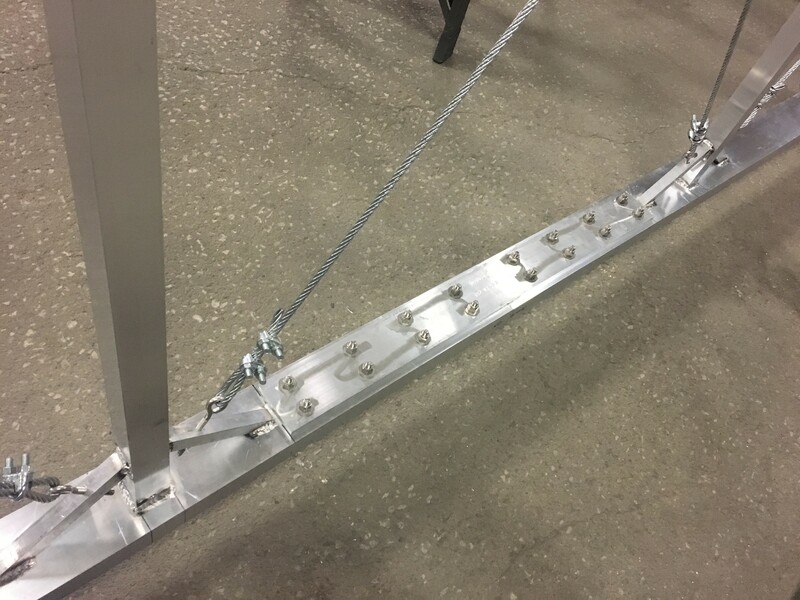 America’s Fence Store’s use of 5/16” cable for trussing also makes them unique. The heavy weight cable does not allow the gate to bounce or flex when completely cantilevered. America’s Fence Store constructs over a thousand gates each year, every one engineered with a combination of proven design materials and concepts.